Gill, T. N., 1866. Prodrome of a Monograph of the Pinnipedes. Proceedings (Communications of the) Essex Institute, 5: 7. 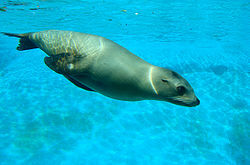 Zalophus in Mammal Species of the World. This page was last edited on 28 February 2019, at 12:52.